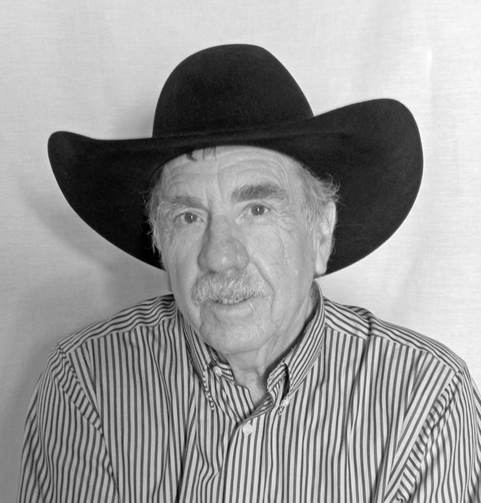 Curtis Fort of Tatum, Artist, Sculpture/Bronze: Curtis Fort has been called a “Storyteller in Bronze,” for his realistic portrayals of the west, particularly cowboys and ranch life, both contemporary and historical. Fort grew up on the Dickinson Cattle Company ranch in Lea County, and has been a working cowboy most of his life. “I have been following Curtis Fort’s career as a sculptor for many years, and I feel his sculptures represent our state and the West with skill, authenticity, and deep feeling,” said Max Evans, who received a governor’s arts award for literature in 1993. Fort, who became a full-time artist in 1980, recently completed a life-size horse monument at Sul Ross State University in Alpine, Texas, which is dedicated to Big Bend law officers who have died in the line of duty. “There is not a more deserving native New Mexican artist to receive the Governor’s Award for Excellence in the Arts, given his lifetime of work and significant contributions to the world of art,” said Don Maddox, director emeritus and general counsel of the J. F Maddox Foundation in Hobbs, which received a governor’s arts award as a major contributor to the arts in 2012. Maddox noted that the lobby of the new Center of Recreational Excellence in Hobbs features a wildlife scene and a series of historical plaques by Fort. Fort’s artwork is also displayed in galleries, museums, private home and businesses, said Jim Harris, director of the Lea County Museum in Lovington. “Mr. Fort has established himself as one of the most highly regarded bronze sculpture artists in the nation,” said Frank Dubois, New Mexico Secretary of Agriculture from 1988-2003. “His depictions of cowboys, Native Americans, wildlife, livestock, and western landscapes are things of remarkable beauty and faithfully represent the history of the West.” Fort is credited with pushing the boundaries of his genre. “It is the subtleties, especially the attention to detail that is most prized in his works,” Dubois said. “If there is a boot, spur, bit, saddle or other cowboy paraphernalia in the piece, you can be assured it is an accurate replica of the original.” Fort has also written stories of his life as a cowboy that were published in the New Mexico Stockman Magazine from 2010 to 2014. He is currently consolidating those stories into an illustrated book for publication. Fort was one of the founders of the Will James Society, serving as the first president of the group, which is dedicated to preserving the art and books by Will James, as well as to promoting the values shared by working cowboys and their families. In 2017, Fort received The Rounders Award from the New Mexico Department of Agriculture, which honors those who live, promote and articulate the western way of life. Fort is also revered as someone who “happily gives back to his community,” DuBois said. 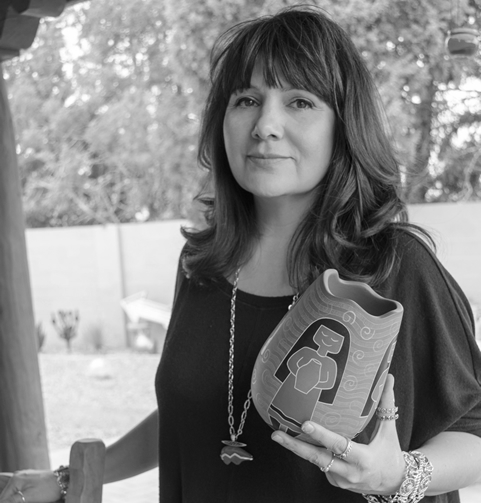 Jody Naranjo of Albuquerque, Artist, Ceramics, Bronze and Glass: Jody Naranjo, who comes from a long tradition of Tewa potters and artists from Santa Clara Pueblo, knew from the time she was eight that a life as an artist was in her future. “She has always embraced art and pottery making in her life – carrying on the traditions of her family and her Pueblo,” said Leroy Garcia, owner of Blue Rain Gallery in Santa Fe. “She honors tradition through much of the process, yet she does not let that tradition keep her from freely expressing herself creatively.” Naranjo is credited with having re-envisioned tradition, and in the process redefining the standard for contemporary Native pottery. “She is not afraid to push beyond the conventional treatment of Tewa pottery,” Garcia said. “Her forays into bronze sculpture and glass have demonstrated her ability to challenge herself beyond the limitations and safety of one medium.” Naranjo “has had a profound impact on the evolution of the Pueblo pottery making tradition while continuously challenging her creativity and pushing boundaries in the world of Native American art,” said Brian Vallo, director of the Indian Arts Research Center at the School for Advanced Research. Naranjo herself said: “Tradition is always going to be evolving.” Threads between past and present are both tangible and figurative in Naranjo’s process, from hand-digging clay to the final touch of a tool upon a piece’s surface. Before wood-firing in an outdoor pit, sometimes smothered with cow manure to achieve a darkened surface, Naranjo burnishes her pots with a riverbed stone passed down from her great-great-grandmother. Naranjo said many potters would be finished after the firing but for her that is just the beginning. She said about 80 percent of her work is in the intricate carving that takes place post-firing. She “gets a feel for the piece at that point,” treating it as a blank canvas for etching symbols, geometric designs, and the gestural animal and human forms for which she is recognized. “A lot of us are discovering ourselves in our art,” Naranjo said. Naranjo approaches her art-making in a joyful way. “This joyful optimism comes through in each of Jody’s art pieces,” said Garcia. “The lighthearted whimsy that she brings to every design is a hallmark of her style.” Russell Sanchez, who received a governor’s arts award for pottery in 2017, said Naranjo’s pottery “brings such joy to all who view it.” Naranjo has received numerous awards and honors, including first place in pottery at the Santa Fe Indian Market in 2011. She has been the artist-in-residence at the Eiteljorg Museum of American Indians and Western Arts and in 2007 she won Best of Show at the Eiteljorg’s Indian Market. Naranjo was designated as the 2017 Museum of Indian Arts and Culture’s Living Treasure and Featured Artist. “Moreover, Jody has maintained her connections with her home community,” said Dr. Robert Martin, president of the Institute of American Indian Arts, which Naranjo attended in the late 1980s. Naranjo “embodies IAIA’s mission of art as a traditional pathway to creativity and leadership,” Martin said. Jerry R. West of Santa Fe, Artist, Painting and Other Media: Jerry West is considered among the most significant contemporary artists rooted in the vast landscape of rural New Mexico. “Jerry West is the real deal – an authentic artist documenting New Mexico lifeways from his own experiences, without a sugar coating,” said Joseph Traugott, former curator of the New Mexico Museum of Art. 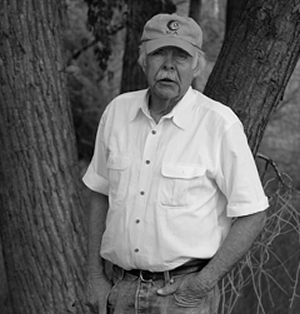 Born in 1933, West grew up in the hard-scrabble New Mexico countryside before World War II. “Now age 85, West makes art every day, with a sketchbook always at hand in the glove box of his truck,” said MaLin Wilson-Powell, a writer and curator in Santa Fe. “For five decades the artist has developed a thoroughly original brand of New Mexico magical surrealism.” Writer William deBuys said what grabs him most about West’s art is his ability to communicate a sense of place. “In his paintings I can hear the croak of the raven and smell the desert after a rain,” said deBuys, who received a governor’s arts award in 2017. “I can taste the dust on the wind in the midst of drought. When I look at his work, I feel envy. I want to write with as much heart and conviction as he can paint.” The son of a WPA artist who eked out a thin living in the hard days of the Great Depression, West has maintained studios in Las Vegas, Bernal, Roswell, and at his home on the prairie near Cerrillos, close by the ranch where he grew up. 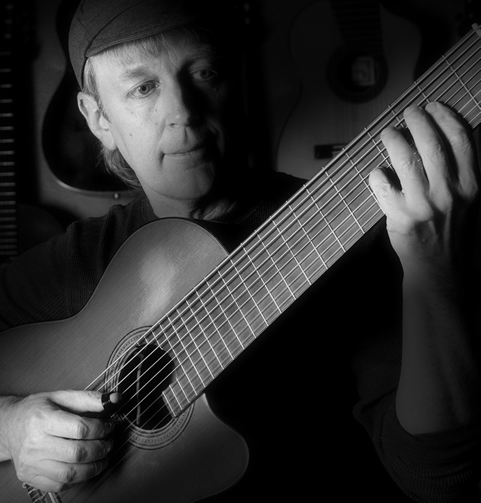 “I do not think of him as a ‘Santa Fe artist,’” deBuys said. “He belongs to New Mexico all of it. And his work expresses the depth and breadth of the state, as much as any artist has managed to do.” In his foreword to West’s book The Alchemy of Memory published in 2015, Traugott said: “Jerry West is an artist whose work has captured, with grace and understanding, the contradictions of modern life, along with the evolution of New Mexico art.” In 2012, the Roswell Artist in Residence (RAiR) Foundation invited West to be its Distinguished Visiting Artist in Residence in honor of the New Mexico Centennial. That same year, West received a mayor’s arts award from the City of Santa Fe. “Jerry West is a visual storyteller and a great ambassador, bridging the gaps between cultures and classes,” said Stephen Fleming, director of RAiR, which received a governor’s arts award in 2017. During his year-long residency in Roswell, West produced a prodigious amount of work recording his impressions of Roswell and southeast New Mexico. He also painted numerous portraits of RAiR artists and staff. “But Jerry wasn’t satisfied with just sitting in his studio painting,” Fleming said. “Something of a gadfly, Jerry dove into the Roswell community, meeting and befriending a very wide range of individuals from every walk of life. At one point, he painted a mural in a tiny Mexican restaurant downtown depicting political and intellectual figures of Mexico’s historic past. At its unveiling, mariachi musicians played and children scampered about as our resident artists joined in the dancing.” West “has become a New Mexico iconic treasure for painting and interpreting New Mexico culture and landscapes,” said collector and arts patron Ray A. Graham III of Albuquerque. 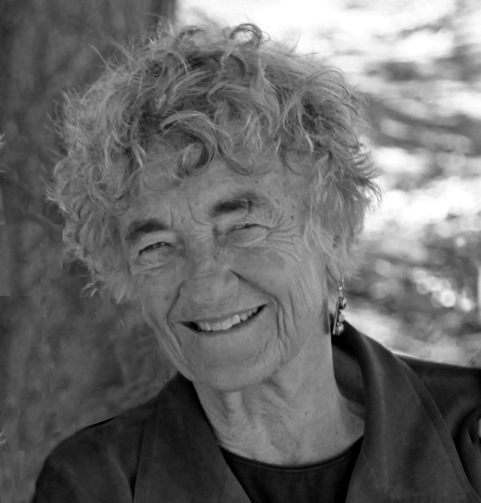 Lucy R. Lippard of Galisteo, Major Contributor to the Arts: is a writer, activist, and sometime curator who had already established an international reputation as one of the foremost critics of contemporary art when she moved to New Mexico 25 years ago. “Lucy R. Lippard is a brilliant example of a person whose life and work demonstrate the highest values of scholarship, engagement and support for the creative sector from pre-history through to the present,” said nominator Diane R. Karp, president of the Nancy Holt-Robert Smithson Foundation and former executive director of the Santa Fe Art Institute. “She is an asset to the state of New Mexico and the world at large.” Lippard has written 24 books on contemporary art, feminism, multicultural art, cultural criticism, history, and archaeology, as well as regular columns on art and politics for the Village Voice, In These Times and Z Magazine. She is a contributing editor emeritus to Art in America and co-founder of several activist artists’ organizations. “Her book, The Lure of the Local, talks about the importance of paying attention to the artists in the region where one lives and works in a climate of globalization and homogenization,” said Stuart Ashman, the former Cabinet Secretary of the New Mexico Department of Cultural Affairs. “Particularly in a culturally diverse state like New Mexico this book strikes an essential chord, given the richness of the cultures here and the influences that they shared with each other.” A longtime resident of Galisteo, Lippard has volunteered with the village’s planning committee, fire department, and water board and for 21 years has edited the monthly community newsletter El Puente de Galisteo. Lippard was an important writer and curator as an integral part of the minimal and conceptual art movements of the 1960s and 1970s. “Her essay, The Dematerialization of Art, with John Chandler defined this new art and also defined the role of the critic in a new and expanded definition of art,” said Mary J. Kershaw, director of the New Mexico Museum of Art. “The relevance of her text Six Years: The Dematerialization of the Art Object from 1966 to 1972, which defined and documented the conceptual art movement, was reinforced by the Materializing “Six Years”: Lucy R. Lippard and the Emergence of Conceptual Art, an exhibition at the Brooklyn Museum, marking the 40th anniversary of the book’s release. It is the rare publication that forty years after its release warrants an entire exhibition at a significant East Coast institution.” Lippard graduated from Smith College in 1958 and received a master’s degree in art history from the New York University Institute of Fine Arts. She has received nine honorary doctorates from such prestigious institutions as the Art Institute of Chicago and Bowdoin College. Her awards include a Guggenheim Fellowship, grants from the Lannan Foundation and Creative Capital, and two lifetime achievement awards. In 2017, she received the Edgar L. Hewett Award from the New Mexico Association of Museums. “In addition to all these honors for her dedicated and outstanding contributions to the arts, Lucy has generously donated many works of contemporary art (valued at approximately $3.5 million) to the New Mexico Museum of Art,” Karp said. Artist Susan York said the value and impact of Lippard’s donation of art is significant. “As a life-long New Mexican who grew up seeing iconic art works only in books, I can say unequivocally that the impact of Lippard’s generosity will deeply affect current and future generations,” York said. Lippard is also a regular participant in panels and initiatives on art and archaeology across a range of institutions here in New Mexico, “sharing her experience and knowledge with a generosity of spirit that enriches our community,” Kershaw said. Meow Wolf of Santa Fe, Major Contributor to the Arts: Meow Wolf is a Santa Fe-based arts and entertainment collective that creates immersive, interactive art experiences to transport people of all ages, backgrounds and tastes into fantastic realms of story and exploration. Meow Wolf was started 10 years ago by a group of twenty-somethings who were seeking venues to create, display and perform their art. The art collective now operates a multimillion dollar, multi-faceted enterprise that employs more than 300 people, mostly artists. “It’s obvious that the art collective best represents the ‘Land of Enchantment,’” said nominator Ellen R. Kemper, a Santa Fe attorney. Meow Wolf opened its multi-dimensional House of Eternal Return permanent exhibit in March 2016. Meow Wolf Co-founder and Chief Executive Officer Vince Kadlubek describes the mystery house, with its secret portals to magical worlds, as “immersive storytelling.” In the past two years, Meow Wolf has donated about $500,000 in grants, sponsorships, art donations, reduced admissions and free tickets. “Our ethic is simple,” Kadlubek said. “The more people who visit us, the more we channel that support into philanthropy in Santa Fe and New Mexico and beyond.” The Santa Fe Chamber of Commerce named Meow Wolf Small Business of the Year in June 2016. 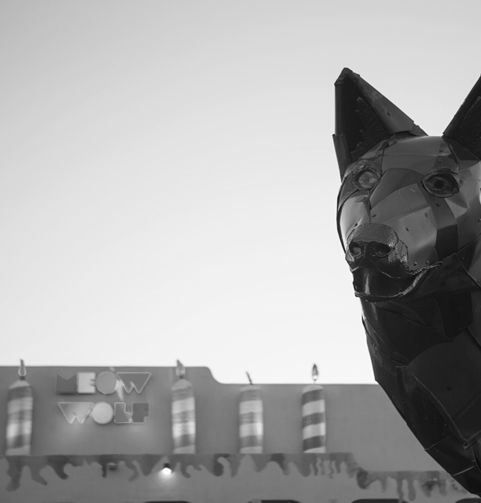 Tania Armenta, President and CEO of Visit Albuquerque, said “Meow Wolf is not only a Santa Fe gem, it’s a New Mexico gem.” Meow Wolf’s success elevates New Mexico’s “diverse and talented arts community along with our innovation,” Armenta said. In addition to attracting visitors from all over, Meow Wolf “has breathed new and exciting creativity into Santa Fe’s world-renowned art scene, said Tim Harman, president of the Santa Fe Gallery Association. “It has provided our community – locally and statewide – with an entirely unique way to view art. I believe there is nowhere else where art is as immersive, tactile, and participatory as The House of Eternal Return.” Meow Wolf demonstrates that “young artists with a kernel of an idea can create something entirely new that is sustainable, economically successful and boundary-blurring,” Harman said. “By utilizing technology, interactivity, and virtual reality to complement and enhance traditional artistic media, Meow Wolf is at the forefront of redefining the very idea of art.” Meow Wolf’s commitment to “radical inclusivity” is especially noteworthy, Harmon said. “Art can be polarizing and exclusionary. But it also can raze metaphorical walls. A visit to The House of Eternal Return will illustrate the collective’s success in bringing young and old, rich and poor, and all races, together in one space to revel.” Santa Fe Mayor Alan Webber and former Mayor Javier Gonzales said in a joint statement that in the last several years no organization has made a larger impact on the arts, culture or economy in Santa Fe or New Mexico “than the artists and dreamers who make up Meow Wolf.” Meow Wolf’s presence in a re-purposed bowling alley in midtown Santa Fe has positively impacted the entire area, helping initiate growth in housing, entertainment, restaurants and nightlife. “It’s not just that a local startup has found success that is important,” the mayors said. “It’s that the founders and visionaries behind it are homegrown, New Mexico products – living evidence that communities who invest in creativity and expose young people to the arts are planting seeds that will grow to have a lasting and powerful impact.” Meow Wolf’s recent expansion into Denver and Las Vegas also boosts awareness of Santa Fe and increases its profile within the region. “To honor them with the Governor’s Award for Excellence in the Arts will send a message to every innovator, dreamer, entrepreneur, founder and artist – at home and across the country; a message that says, ‘In New Mexico you can take your chance, build your dream, and you will find a community and a culture that supports you and will be here to help you succeed,’” Webber and Gonzales said. Dan and Ashlyn Perry of Santa Fe, Major Contributors to the Arts: A hallmark of Dan and Ashlyn Perry’s community involvement is their sense of joyfulness, as they take unabashed delight in contributing to the betterment of the lives of their fellow New Mexicans. The Perrys underscore their commitments with both time and money. Veronica Gonzales, Cabinet Secretary for the Department of Cultural Affairs, Charles MacKay, General Director of The Santa Fe Opera, and Jamie Clements, President/CEO of the Museum of New Mexico Foundation, have all observed that the sheer pleasure of working with the Perrys is inspiring and that their enthusiasm inspires others to get involved as well. Dan Perry’s insatiable love of opera and the couple’s genuine concern and deep admiration for the performers led them to become cornerstones of The Santa Fe Opera. Perry has been a key member of the Opera board for several years, serving in various positions and working on whatever is needed most. And both Ashlyn and Dan Perry have been committed members of several Opera Gala Committees. As an arts commissioner for the City of Santa Fe, Ashlyn Perry has found a public service outlet for her love of art and design. She is a tireless supporter of Santa Fe’s arts and cultural affairs, and her work on the commission includes recommending policies and programs that develop and promote artistic excellence in the community. Their big hearts and willingness to embrace a challenge led the Perrys to accept the position of co-chairs for the New Mexico Museum of Art Centennial Campaign, a $12.5 million endeavor. Their involvement in the campaign has been a major boost for the Museum of New Mexico Foundation, on which Dan Perry currently serves as Vice President of the Board of Trustees. The Perrys were instrumental in securing the major gift for the new Vladem Contemporary. “Without the Perrys, the new contemporary museum would not be possible,” said Mary J. Kershaw, director of the New Mexico Museum of Art. “Not only did they accept the challenge, they have risen to the challenge, and they have been personally active in making sure the campaign moves ahead and succeeds. Sometimes these things are more honorary positions, but Dan and Ashlyn have been truly active, and without their involvement we would not be where we are in the campaign.” Kershaw also lauded Ashlyn Perry’s active commitment to the Centennial Campaign’s gala fundraiser in early May. “Ashlyn was instrumental in the success of the evening, and her talent for design was evident to all who attended,” Kershaw said. The Perrys have been extraordinarily generous to all four of the state museums in Santa Fe: the Museum of Art, the Museum of Indian Arts and Culture, the History Museum/Palace of the Governors, and the Museum of International Folk Art. For example, Ashlyn and Dan Perry were responsible for the purchase of the sculpture Valentino Tzigiwhaeno Rivera (2008-2016) for the Museum of Indian Arts and Culture. They are also a force behind the Museum of New Mexico Foundation’s development initiatives in Dallas, San Antonio, and Austin, Texas. The Dan and Ashlyn Perry Charitable Foundation supports children’s charities, the arts, and conservation efforts. Their financial commitment to the economic development of the Rio Chama Valley is substantial, and through their Trout Stalker Ranch in Chama, the Perrys have aided the New Mexico Land Conservancy with hundreds of acres of conservation easement. 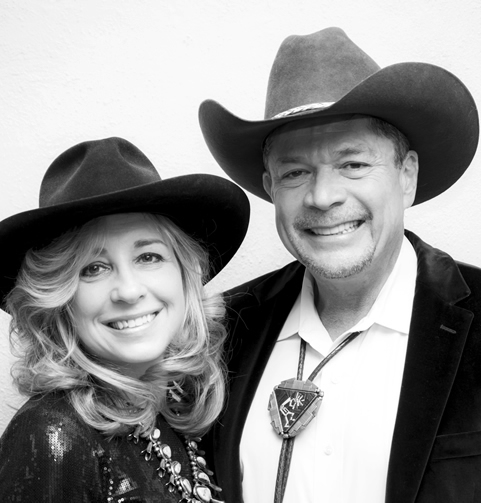 Dan and Ashlyn Perry have fortified many educational, artistic, and child welfare organizations in New Mexico, including Big Brothers Big Sisters of Northern New Mexico, the Institute of American Indian Arts, SITE Santa Fe, and Silver Bullet Productions. The philanthropic and artistic landscape of New Mexico changed for the better with the arrival of Dan and Ashlyn Perry, who moved here permanently in 2011 after being longtime visitors. Dale Chihuly, Leadership in the Arts: The tale of Dale Chihuly and New Mexico is one of a rich and enduring legacy. It is a story of astounding creative generosity and abundant intellectual exchange. In 1974, Dale Chihuly was still a young professor at the Rhode Island School of Design when he was invited by Lloyd Kiva New to visit Santa Fe. Hired as the first Art Director of the Institute of American Indian Arts (IAIA), Lloyd Kiva New wanted Chihuly to establish a glass program. New served as President of IAIA from 1968 until his retirement in 1978. He believed that glass had the potential to become the next frontier of Native artistic expression. The lives Chihuly impacted through his influence and teaching at IAIA were numerous, and today many of their names are well-known. No article about the beloved Isleta glass artist Tony Jojola is complete without mention of Dale Chihuly. After IAIA, Jojola would ultimately work with Chihuly for several years at his renowned Pilchuck Glass School. Chihuly’s creative process embraces experimentation, and this is echoed in Jojola’s sentiments that “when I did teach, it was that there are no limits to what can be done.” In an elegant example of the circularity of life, Jojola’s student from Taos Pueblo, Ira Lujan, would also eventually make his way north to Pilchuck. When Chihuly returned to IAIA in 2013 for a public lecture, IAIA student Frosley Fowler (Navajo) stated: “His installation of glass pieces in a natural setting stimulated my mind and how I look at nature.” Chihuly has continued to be a generous supporter of IAIA’s annual scholarship dinner and auction. Yet the relationship between Chihuly and New Mexico is not one-sided. The landscape and, more profoundly, the Native American culture in New Mexico gave life to a deep creative reciprocity. Outside of Santa Fe in 1974, Chihuly undertook the Glass Pour, where he poured molten glass into the earth to create a cast of the ground’s surface as the glass hardened. Fascination with the patterning of Native blankets was the inspiration for Chihuly’s Navajo Blanket Cylinders, begun in 1975 after he returned to Providence. Technically groundbreaking, these works would go on exhibit at the IAIA Museum in 1976 and then travel to museums in Utah and Wisconsin. Two of the cylinders are now in the collection of the Smithsonian American Art Museum. Many years later in 1998, the Albuquerque Museum of Art and History (as it was then known) would host Dale Chihuly: On Site. In 2011, the National Hispanic Cultural Center would mount Dale Chihuly Glass and New Mexico Glass Artists: Xavier Zamarripa, Donna Nova, and Elodie Holmes in La Tiendita. However, it is neither Santa Fe nor Albuquerque that can boast of the most surprising abundance of Chihuly’s magic. Far from the capital city, in the tiny southern village of Alto, just north of Ruidoso, sits the magnificent Spencer Theater for the Performing Arts (1994-1998). To complement Antoine Predock’s design, Jackie Bancroft Spencer Morgan commissioned Chihuly to create several glass installations. These extraordinary works constitute the Southwest’s largest private collection of Chihuly’s work that is open to the public. The installations are situated throughout the building, in the public spaces and the more private enclaves. They include Indian Paintbrushes and the Golden Sunset Tower in the lobby, and The Persians on the balcony. A massive chandelier is part of Ruby Sea Garden in the Founders Room. In truth, through his enormous generosity of spirit, sowing seeds of intellectual curiosity, and bestowing upon our beloved state an artistic beauty of unparalled color in sumptuous glass, Dale Chihuly’s contributions to New Mexico continue to blossom. 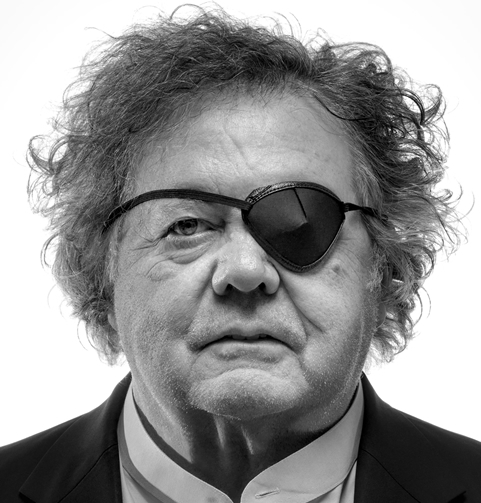 Dale Chihuly is known for revolutionizing the Studio Glass movement and elevating the perception of the glass medium. Over his 50-year career, he has become known for his iconic glass sculptures, but glass is just one of the media he employs to realize his vision – he also draws, paints and sculpts using other materials. Chihuly is renowned for his ambitious architectural installations around the world, in historic cities, museums and gardens. Dale Chihuly’s work is included in more than 200 museum collections worldwide including the Metropolitan Museum of Art, the Smithsonian American Art Museum and the Corning Museum of Glass. Major exhibitions include Chihuly Over Venice (1995-96), Chihuly in the Light of Jerusalem (1999), de Young Museum in San Francisco (2008), the Museum of Fine Arts, Boston (2011), Virginia Museum of Fine Arts, Richmond (2012) and the Montreal Museum of Fine Arts, Montreal, Canada (2013.) Chihuly Garden and Glass opened at Seattle Center in 2012. The last recipient of a leadership in the arts award in New Mexico was Robert Redford in 2010.